How great would it be to have younger skin without botox or surgery. Well, Dublin Vitality Center has come up with a very unique and exciting youth giving skin programme called The 3 Steps To YOUNGER Skin. This programme addresses aging skin problems in 3 ways. Step 1. Microdermabrasion is used to remove surface damage such as course skin, sun damage, pigmentation, fine lines and acne scar. Step 2. Skin Needling or Mesotherapy is used to tackle problems in the deeper layer or "mesoderm". Step 3. Diathermy is then used to instantly treat the dreaded broken red veins and capillarys that appear around the nose and cheeks with age. 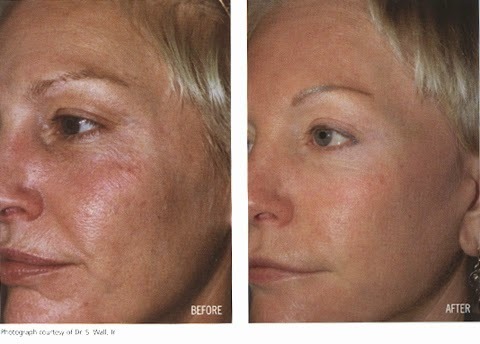 So there is it, 3 Steps to younger skin without the surgeons knife. Try it today at Dublin Vitality Center. We love it. We hope you do too. And to top the whole thing off, get a sparkling white smile with zero peroxide laser teeth whitening for a dazzling smile in just 60 minutes.